Lucknow, Feb. 11 (PTI): Alleging that laxity on the part of the Uttar Pradesh government led to a large number of deaths after consumption of spurious liquor, opposition members Monday created ruckus in the assembly and demanded Chief Minister Yogi Adityanath to resign. 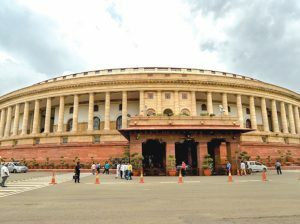 The uproar by opposition members over the hooch tragedies in Saharanpur and Kushinagar districts last week led to adjournment of the entire Question Hour. As soon as the House met, opposition SP, BSP and Congress members tried to raise the matter terming it one of utmost importance. SP and BSP members trooped into the Well of the House, raising anti-government slogans. Parliamentary Affairs Minister Suresh Kumar Khanna said the state government has taken stern action in the matter and those involved will not be spared. Speaker Hriday Narain Dixit repeatedly pleaded with the angry opposition members to resume their seats, but they did not relent. He then adjourned the House for 30 minutes and later extended the adjournment till 12.20 pm as a result of which the entire Question Hour was washed out. CLP leader Ajay Kumar Lallu, later talking to reporters, demanded a CBI probe in the matter and said the CM should take moral responsibility of the incident and resign. The state government on Sunday night announced a probe by a special investigation team (SIT) into the twin tragedies. An official spokesperson said the SIT has been constituted to make an in-depth inquiry into the tragedies in the two districts. The five-member SIT has been specifically asked to find whether there was any conspiracy behind the tragedies in which more than 40 people died. It has also been asked to review past incidents and submit its report, suggesting measures to stop recurrence of such incidents, within 10 days.